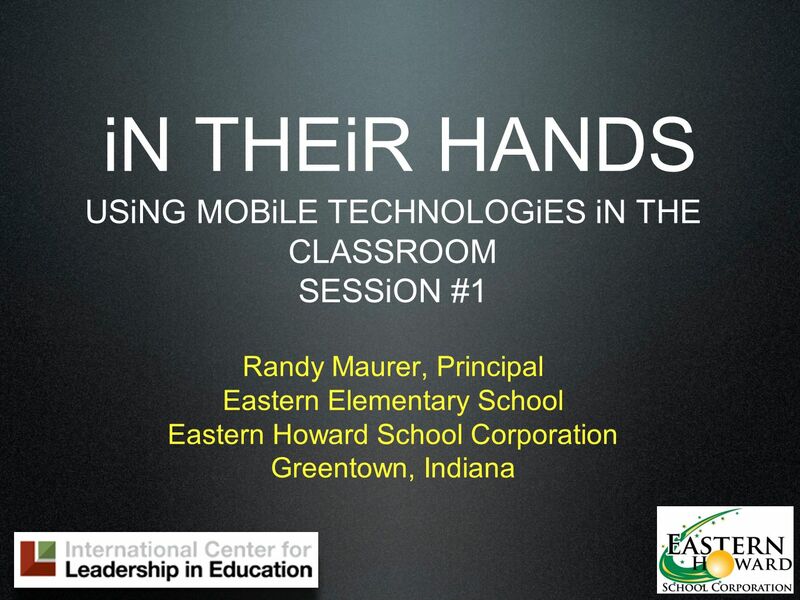 IN THEiR HANDS USiNG MOBiLE TECHNOLOGiES iN THE CLASSROOM SESSiON #1 Randy Maurer, Principal Eastern Elementary School Eastern Howard School Corporation. 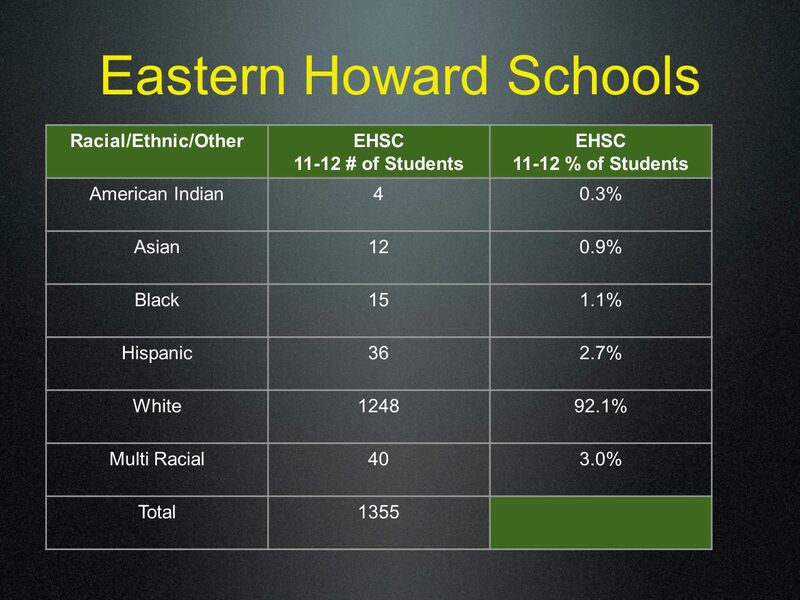 2 Who iS Eastern Howard? 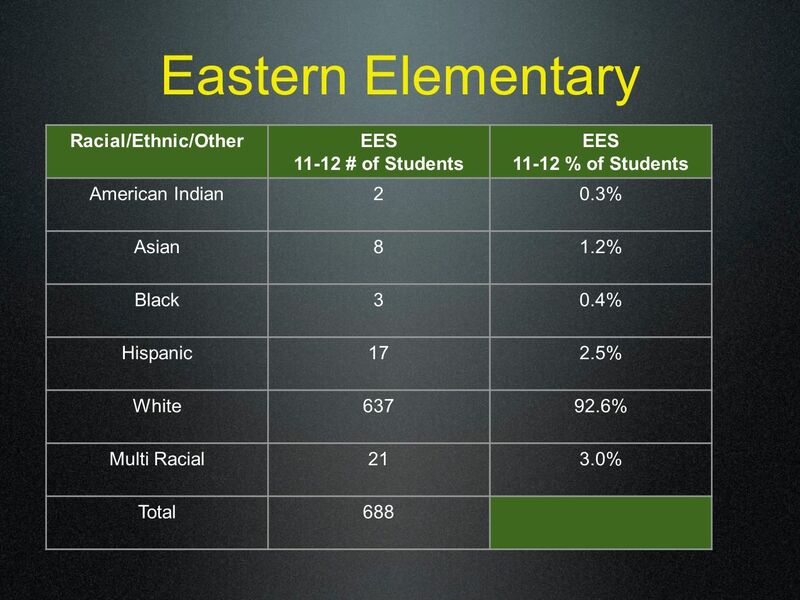 Eastern at the MSC! Greentown, Indiana Population 2,500 (6,700 District wide). 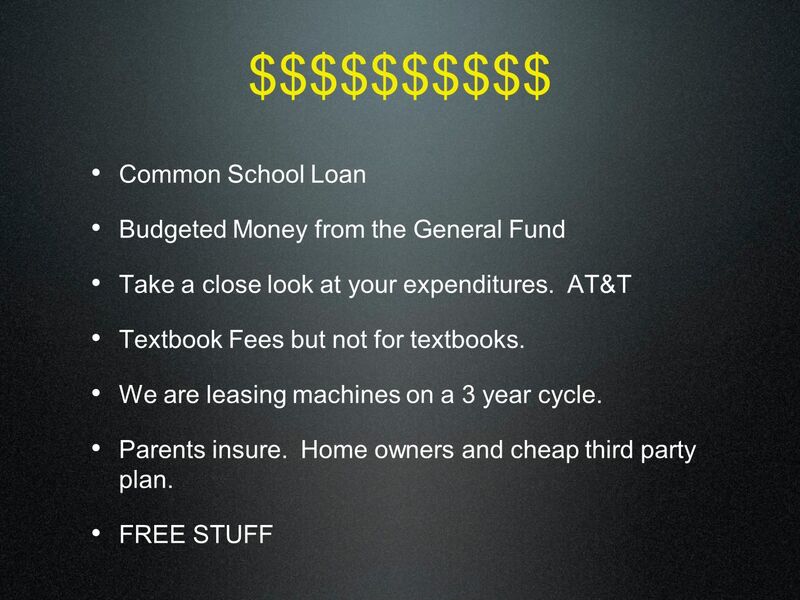 Rural school with open transfer tuition. 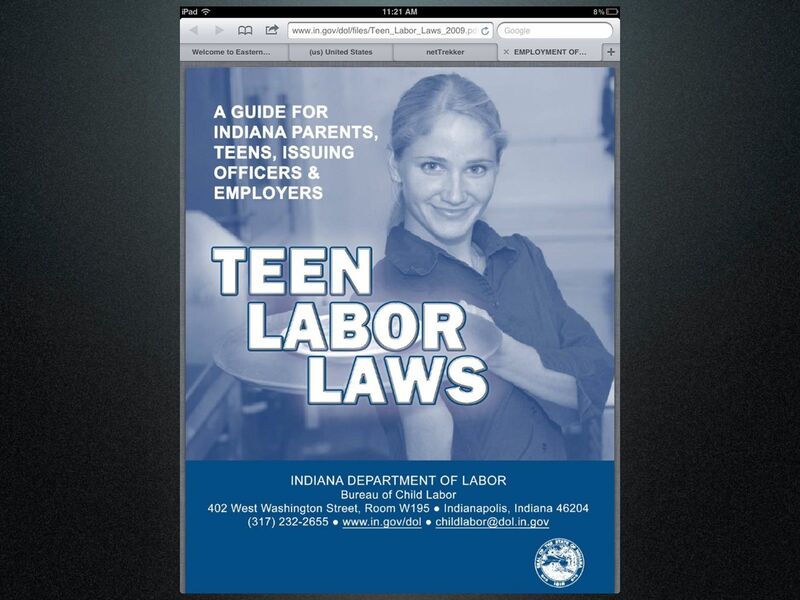 Ball State University used us in a technology documentary. We are not the typical school that you find here. We are not a turn around school. We are not on improvement. 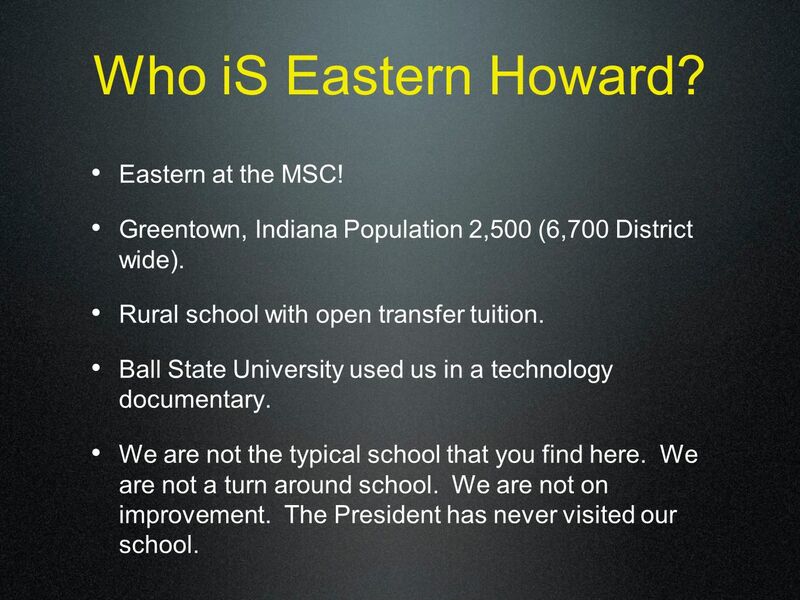 The President has never visited our school. 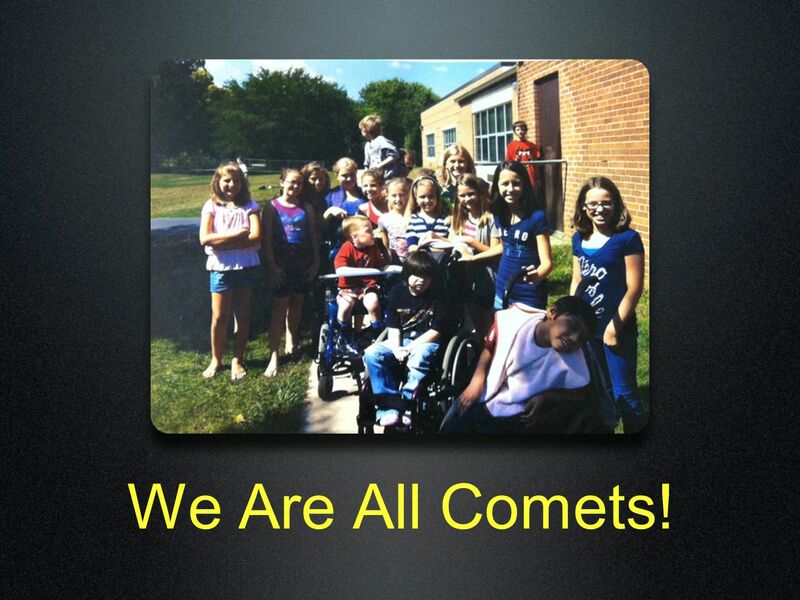 7 We Are All Comets! 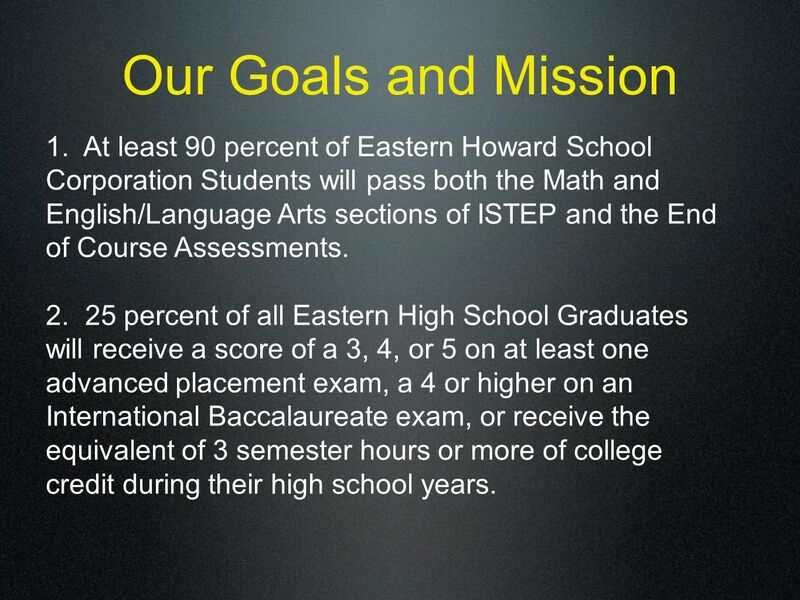 8 Our Goals and Mission 1. 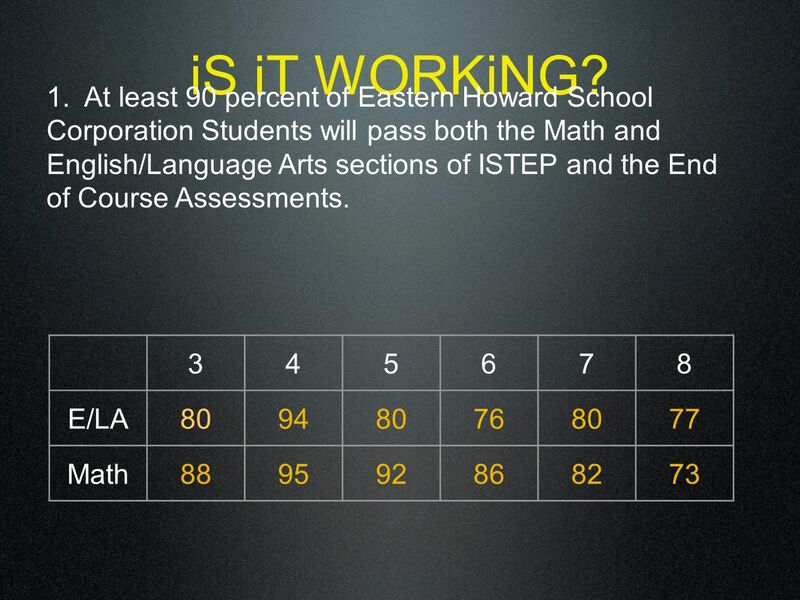 At least 90 percent of Eastern Howard School Corporation Students will pass both the Math and English/Language Arts sections of ISTEP and the End of Course Assessments. 2. 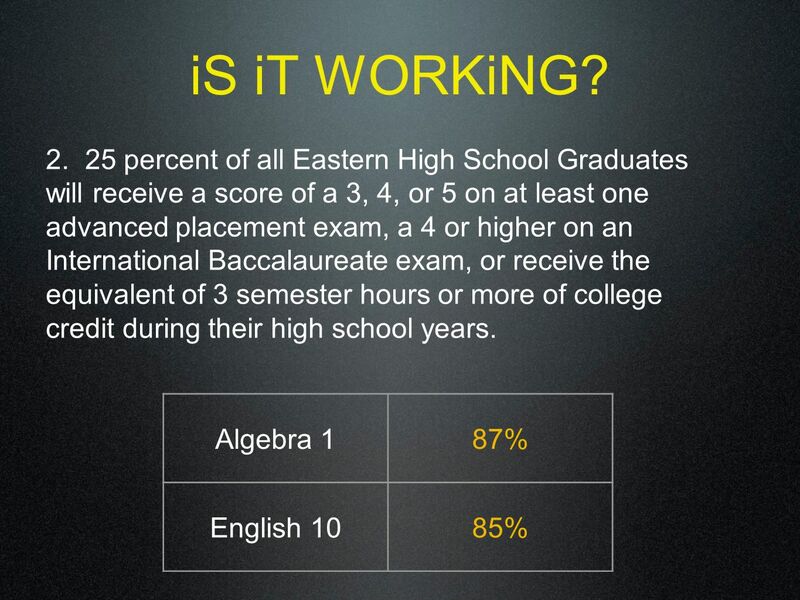 25 percent of all Eastern High School Graduates will receive a score of a 3, 4, or 5 on at least one advanced placement exam, a 4 or higher on an International Baccalaureate exam, or receive the equivalent of 3 semester hours or more of college credit during their high school years. 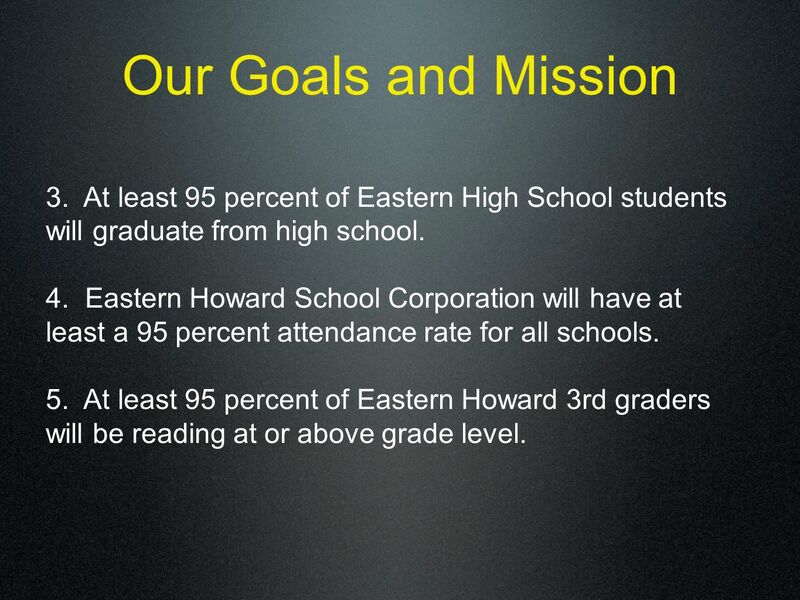 9 Our Goals and Mission 3. 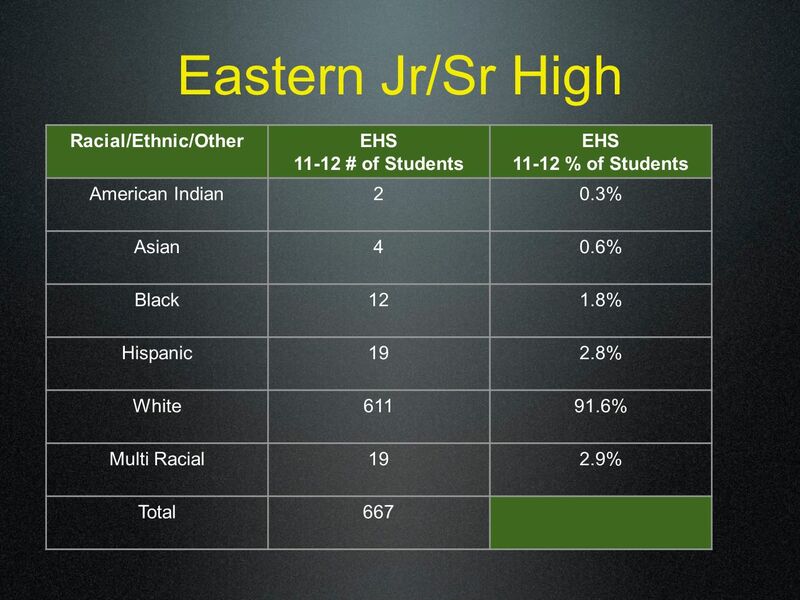 At least 95 percent of Eastern High School students will graduate from high school. 4. 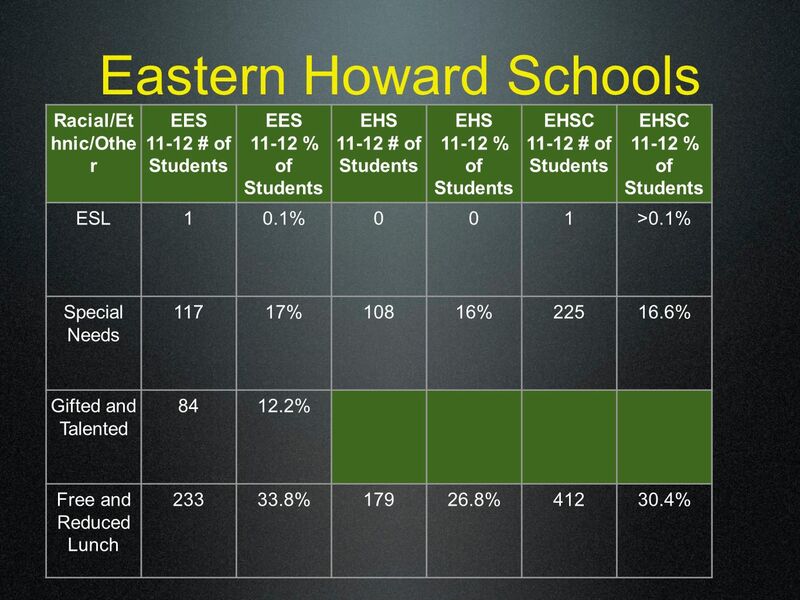 Eastern Howard School Corporation will have at least a 95 percent attendance rate for all schools. 5. 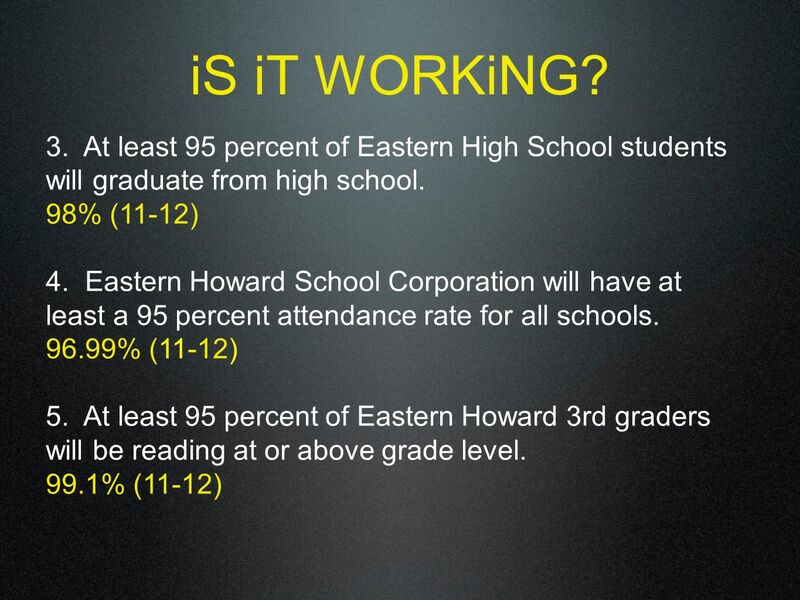 At least 95 percent of Eastern Howard 3rd graders will be reading at or above grade level. 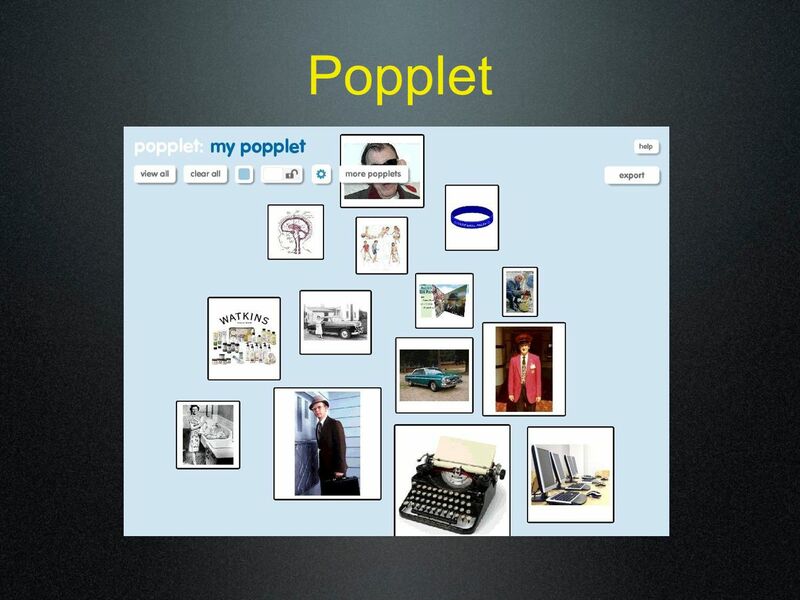 11 Organizational Leadership 1. Create a culture of high expectations. 2. 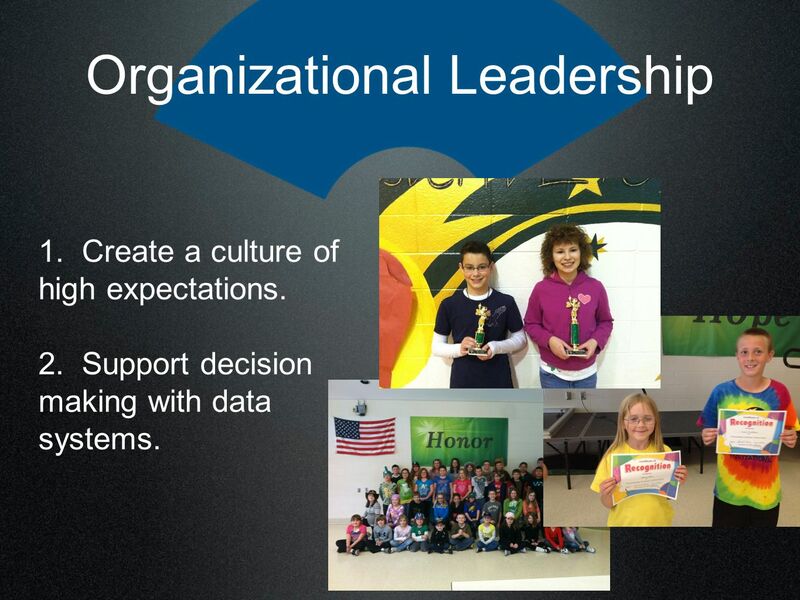 Support decision making with data systems. 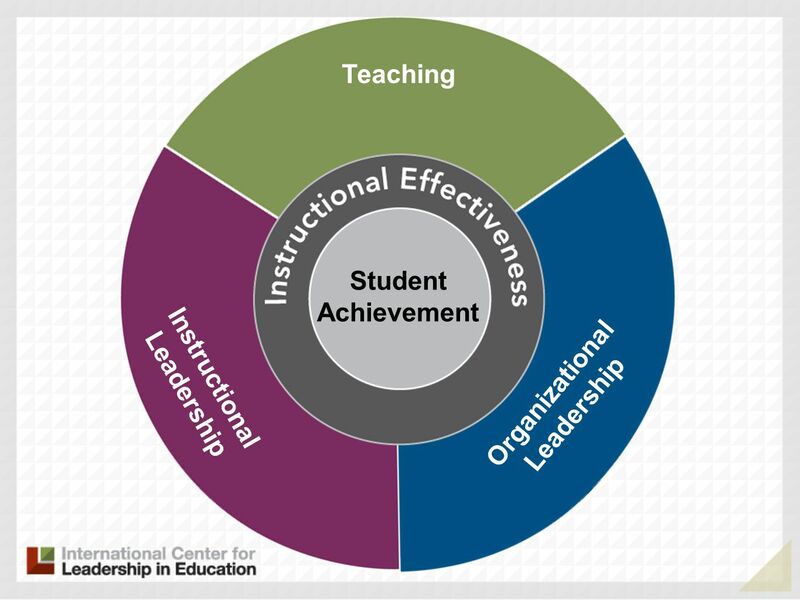 12 Instructional Leadership 1. 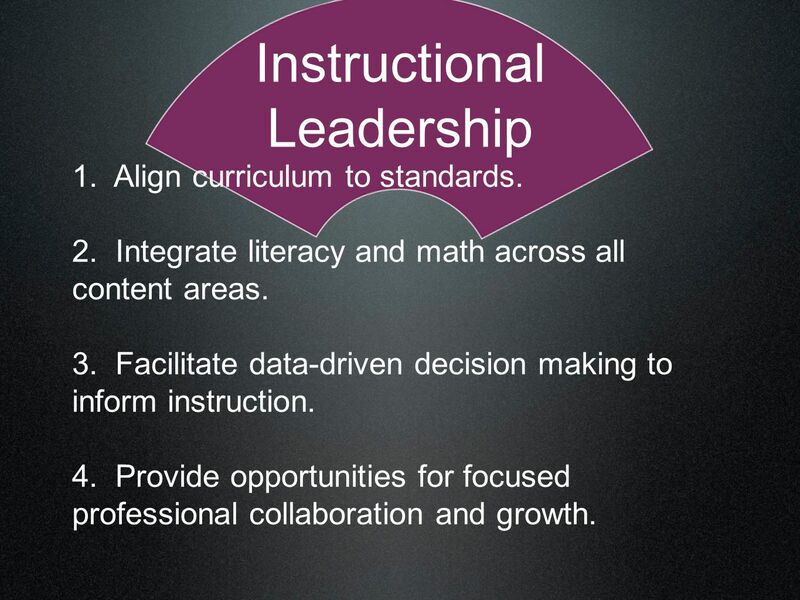 Align curriculum to standards. 2. 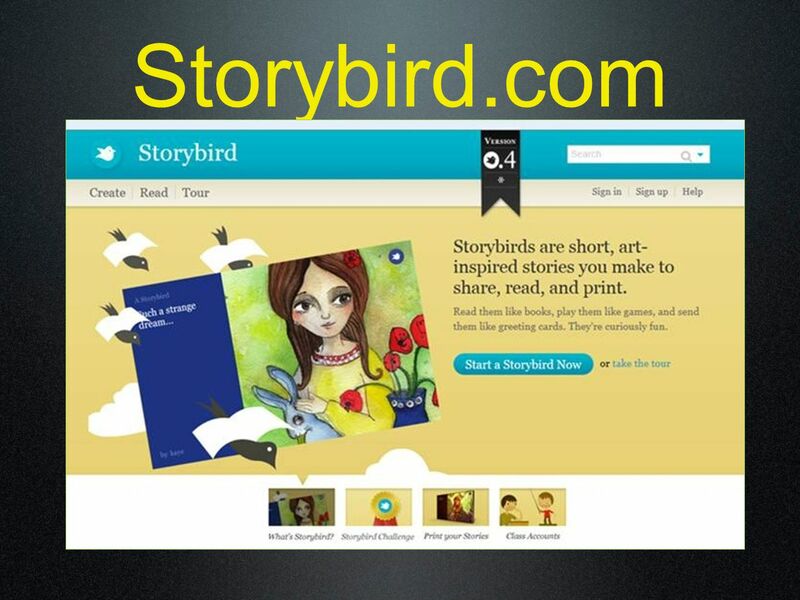 Integrate literacy and math across all content areas. 3. 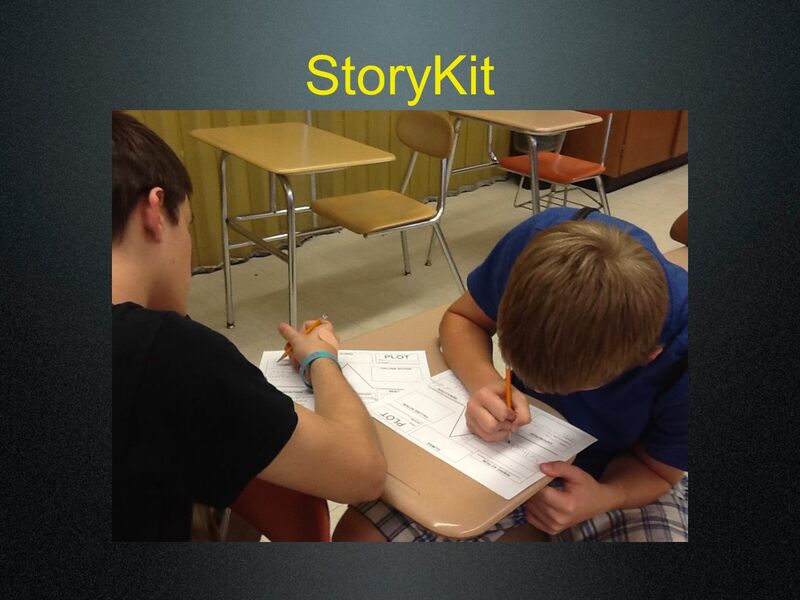 Facilitate data-driven decision making to inform instruction. 4. 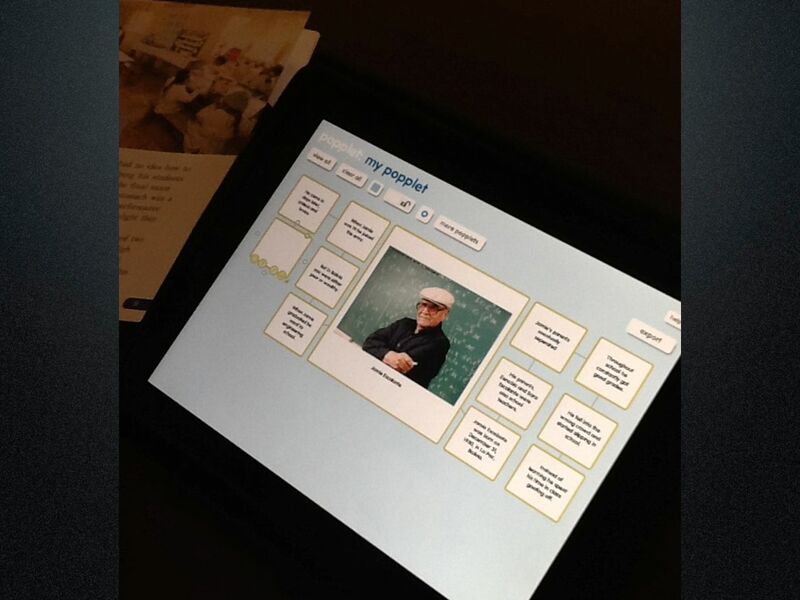 Provide opportunities for focused professional collaboration and growth. 13 Teaching 1. 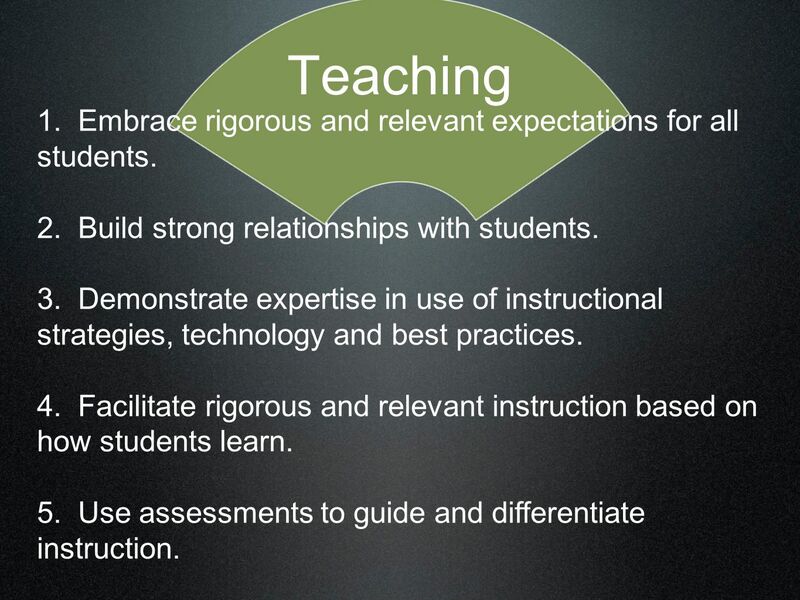 Embrace rigorous and relevant expectations for all students. 2. 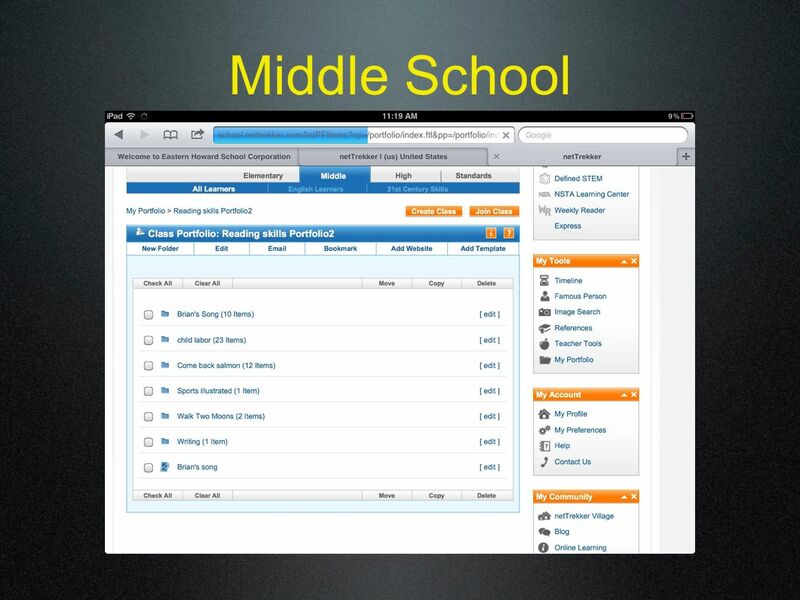 Build strong relationships with students. 3. 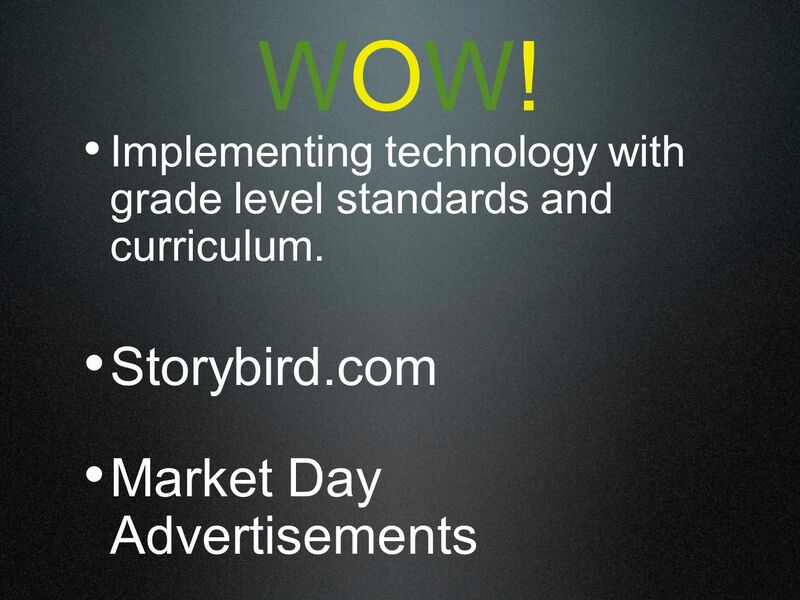 Demonstrate expertise in use of instructional strategies, technology and best practices. 4. 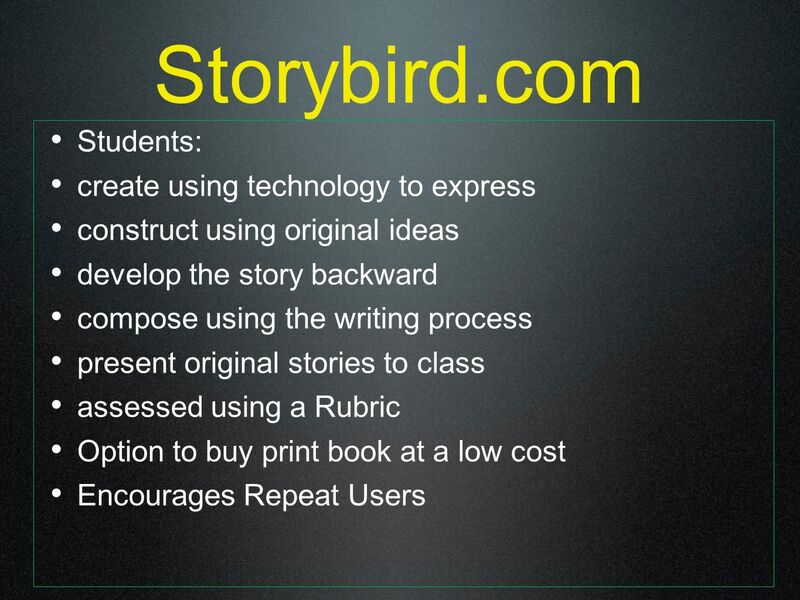 Facilitate rigorous and relevant instruction based on how students learn. 5. 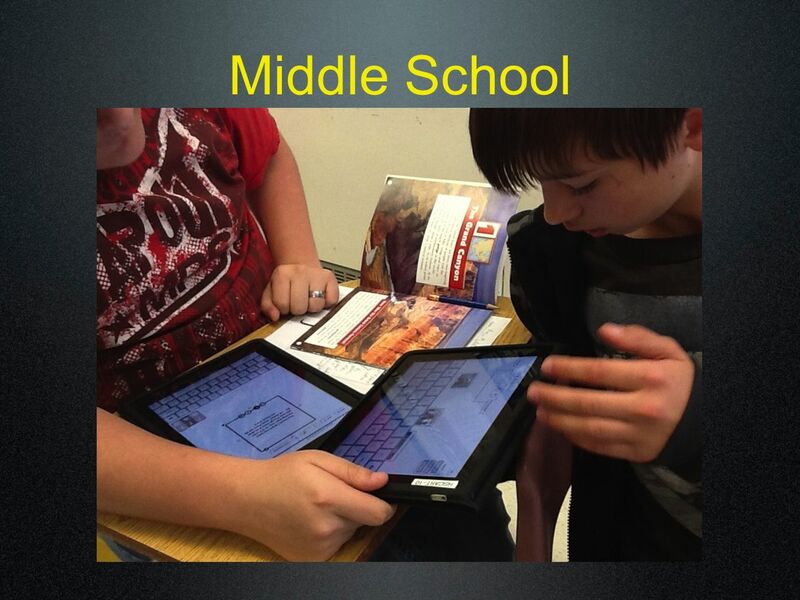 Use assessments to guide and differentiate instruction. 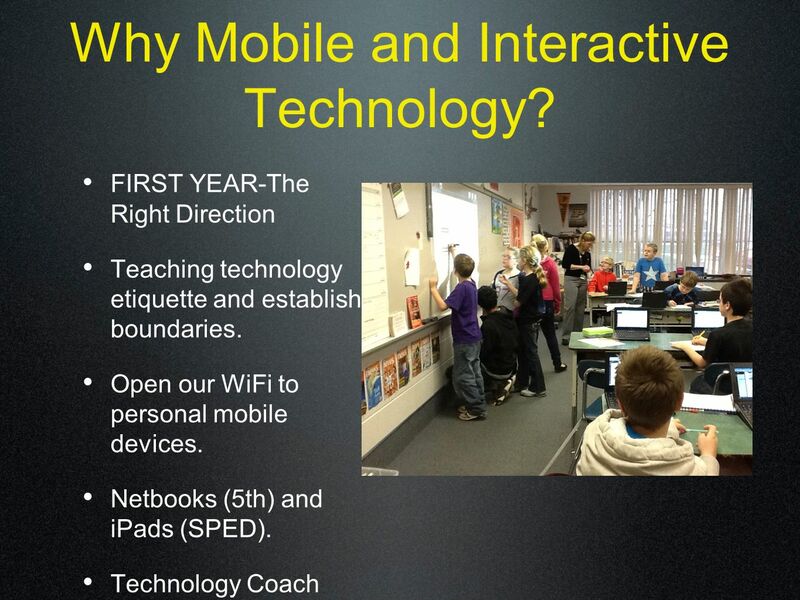 15 Why Mobile and Interactive Technology? 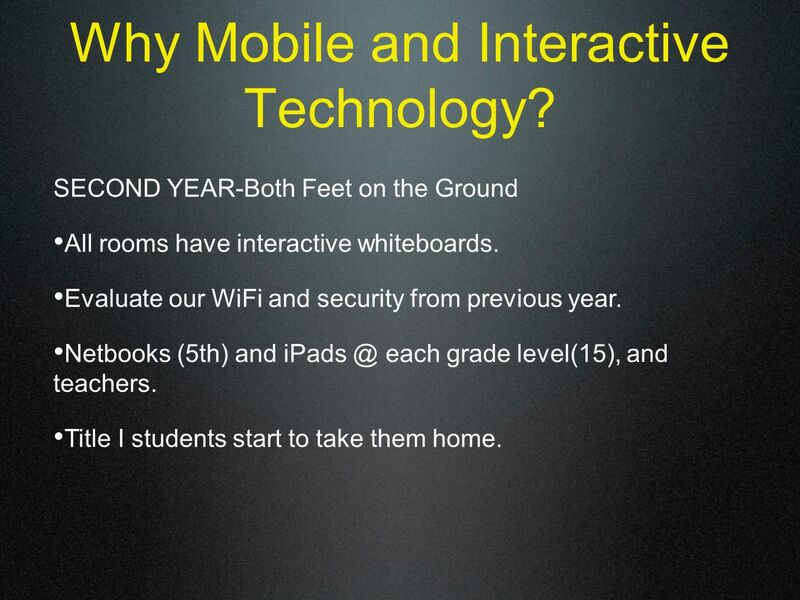 SECOND YEAR-Both Feet on the Ground All rooms have interactive whiteboards. 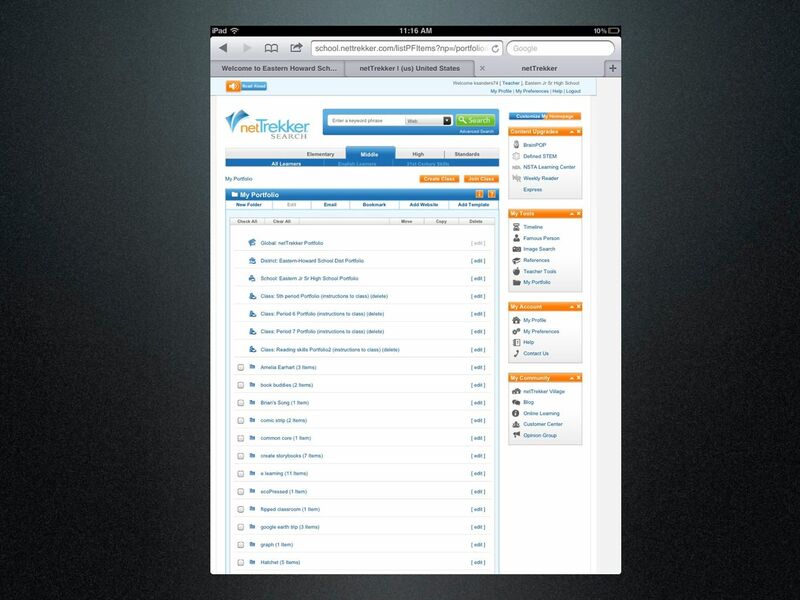 Evaluate our WiFi and security from previous year. 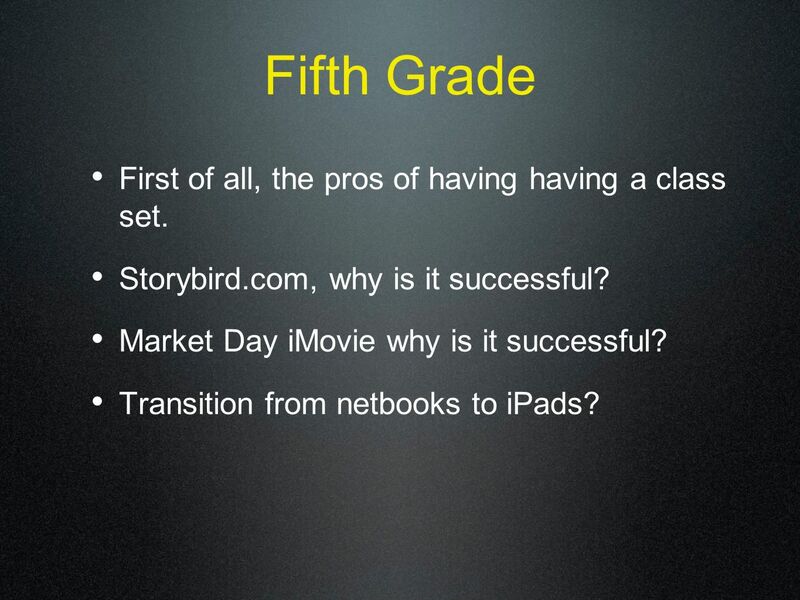 Netbooks (5th) and iPads @ each grade level(15), and teachers. Title I students start to take them home. 16 What Do We Do Next? Dream Big! 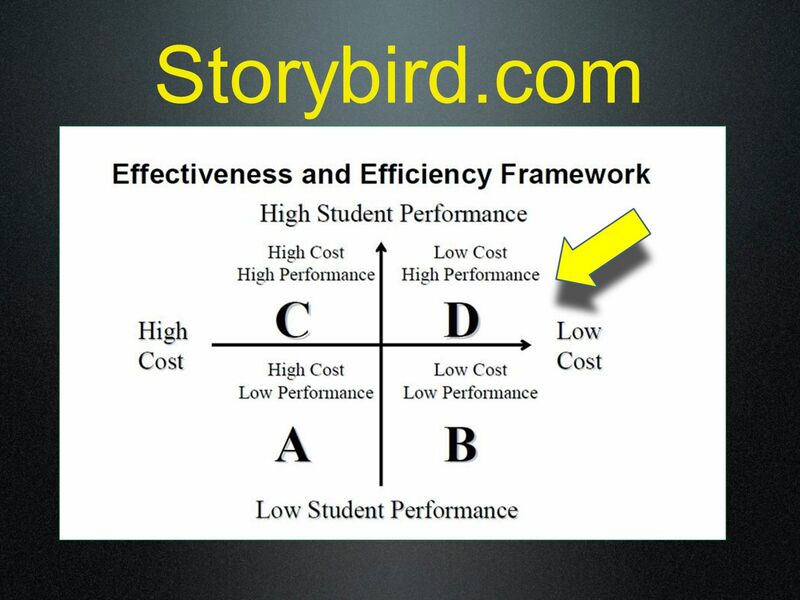 Now that everyone likes it, how do make it equal for all students? 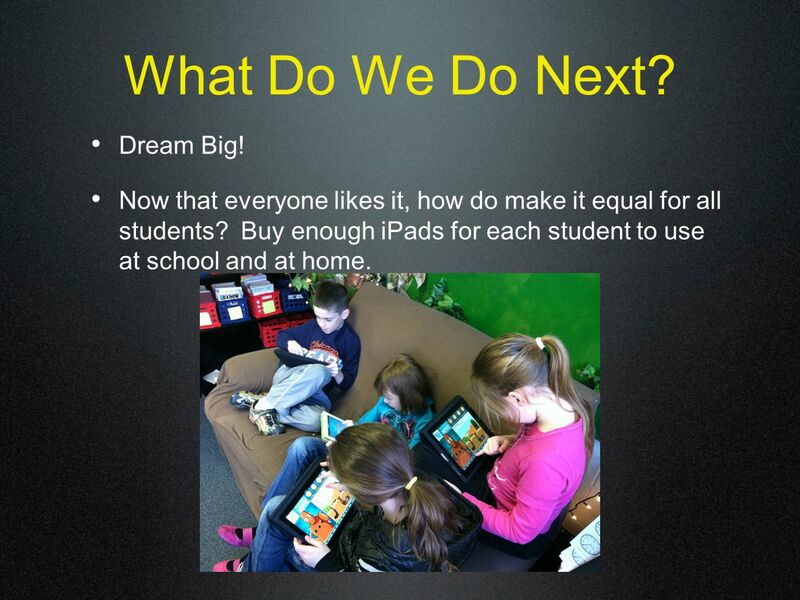 Buy enough iPads for each student to use at school and at home. 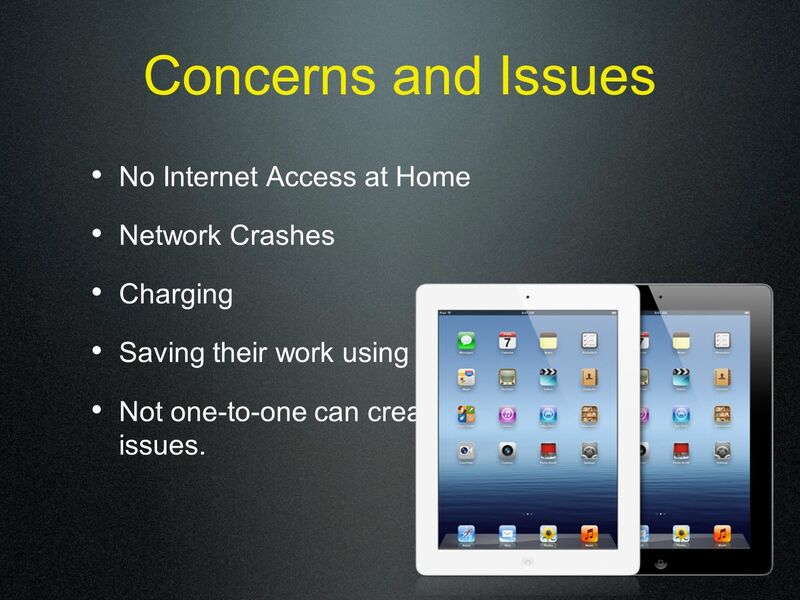 18 Concerns and Issues No Internet Access at Home Network Crashes Charging Saving their work using iPad carts Not one-to-one can create work submission issues. 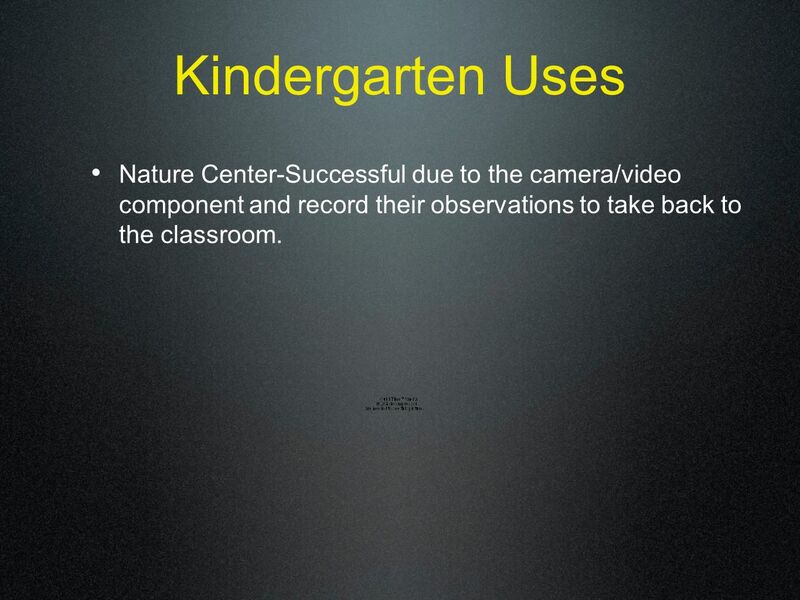 20 Kindergarten Uses Nature Center-Successful due to the camera/video component and record their observations to take back to the classroom. 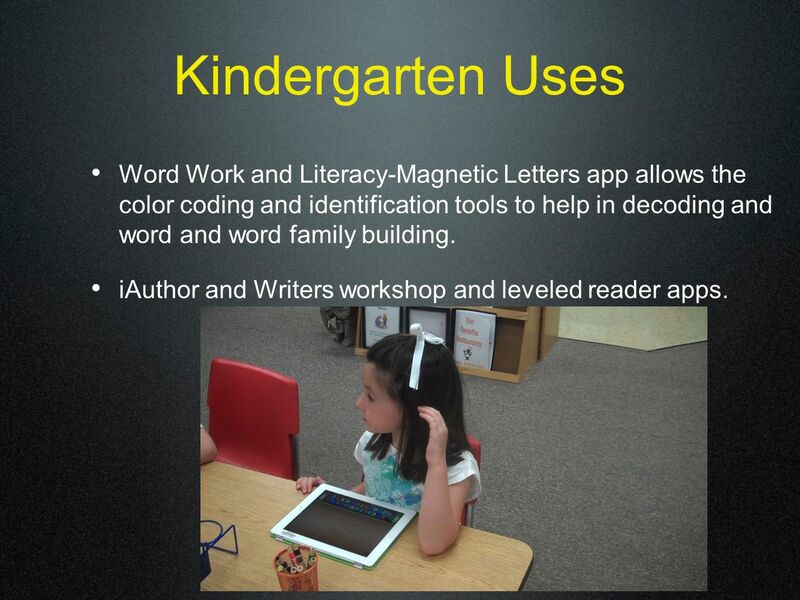 21 Kindergarten Uses Word Work and Literacy-Magnetic Letters app allows the color coding and identification tools to help in decoding and word and word family building. 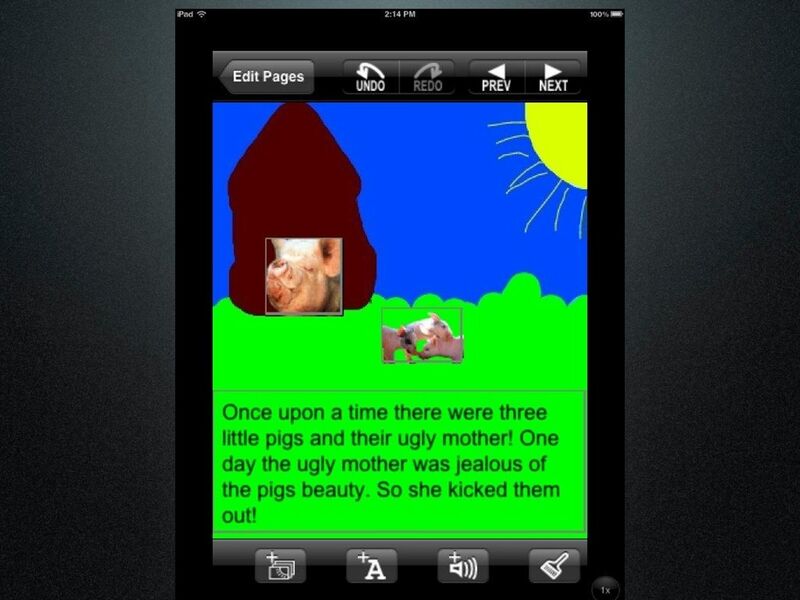 iAuthor and Writers workshop and leveled reader apps. 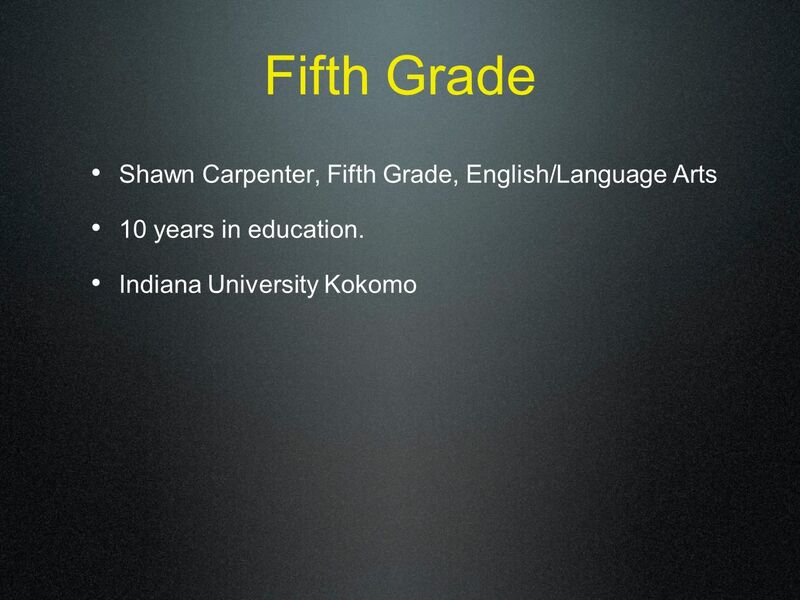 23 Fifth Grade First of all, the pros of having having a class set. 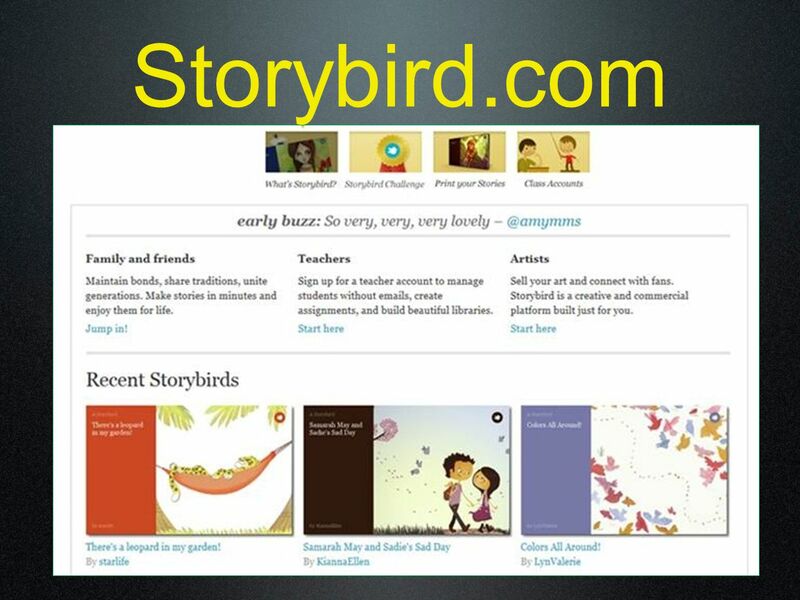 Storybird.com, why is it successful? 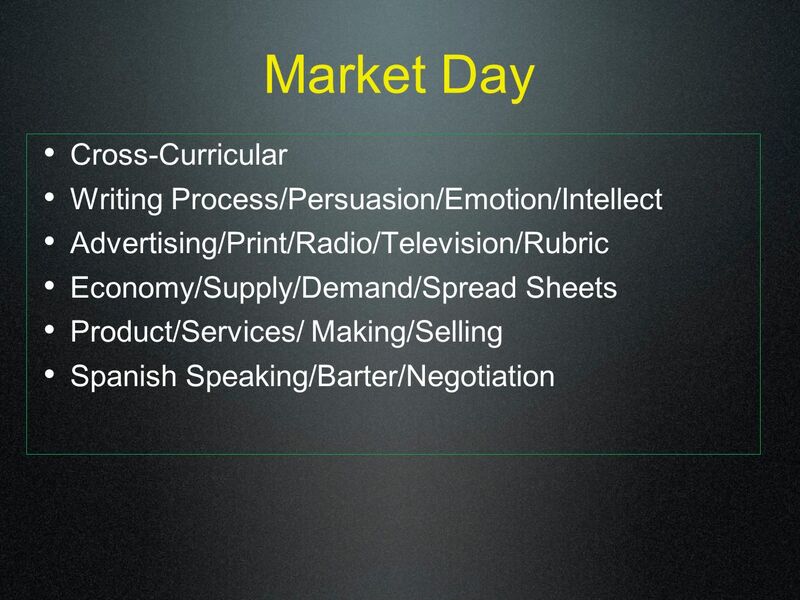 Market Day iMovie why is it successful? 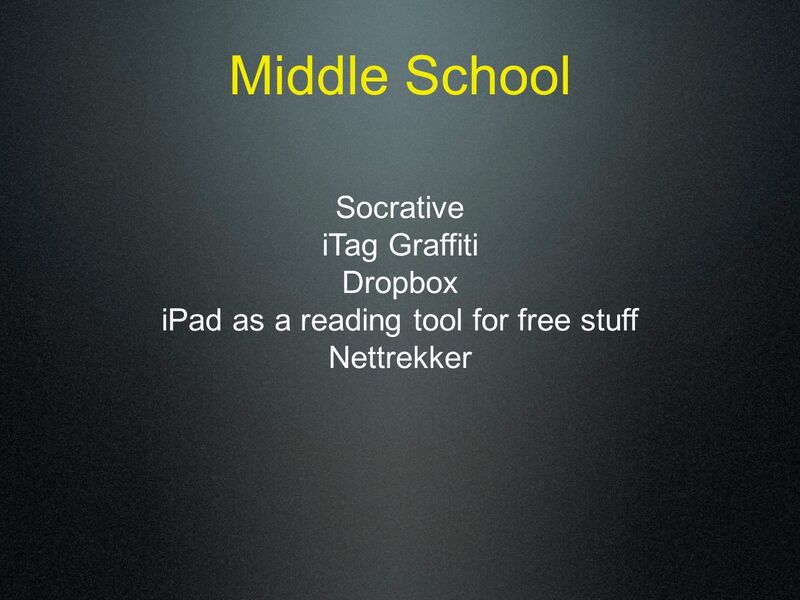 Transition from netbooks to iPads? 24 WOW!WOW! W HY? The answer is at your fingertips. Google It. 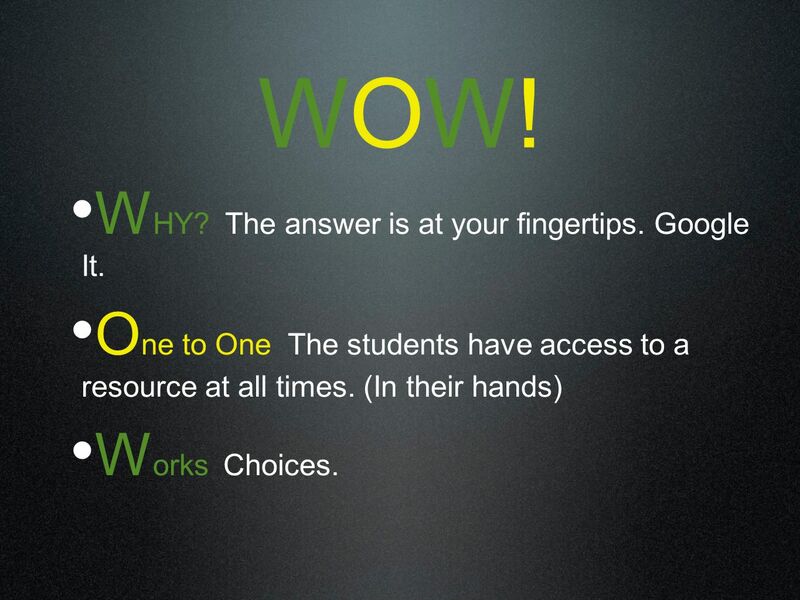 O ne to One The students have access to a resource at all times. (In their hands) W orks Choices. 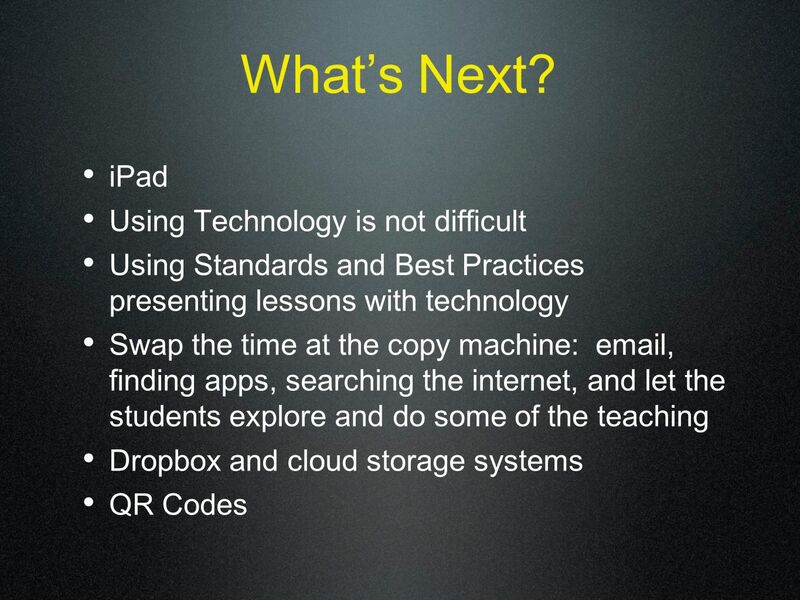 54 You may have technology, but are you really using it? 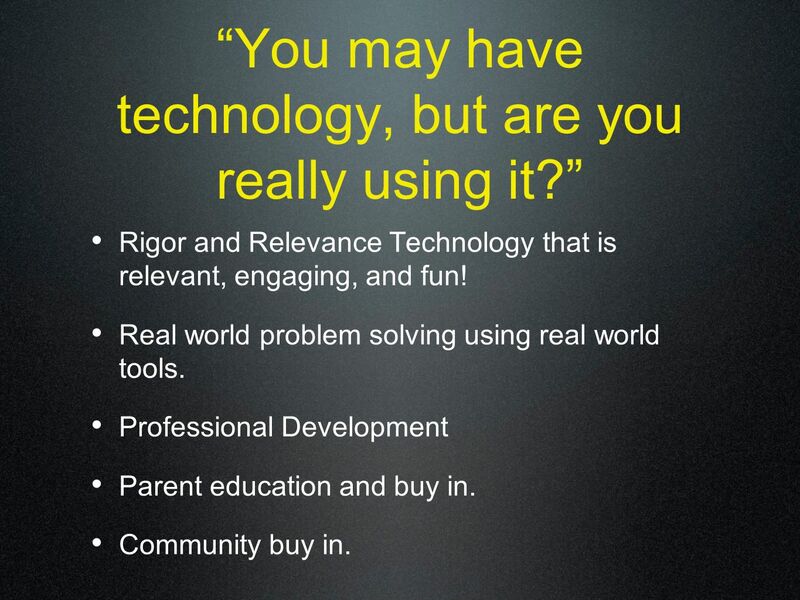 Rigor and Relevance Technology that is relevant, engaging, and fun! 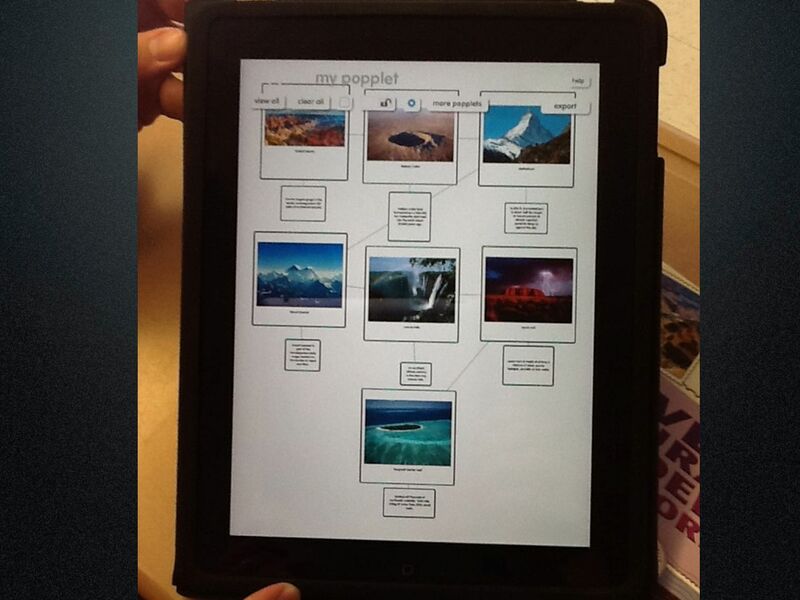 Real world problem solving using real world tools. 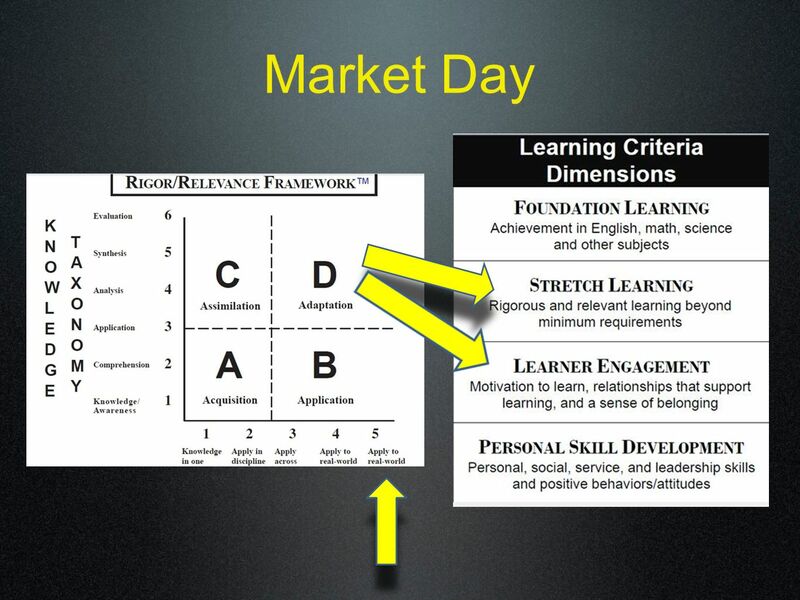 Professional Development Parent education and buy in. Community buy in. 55 Thank You! 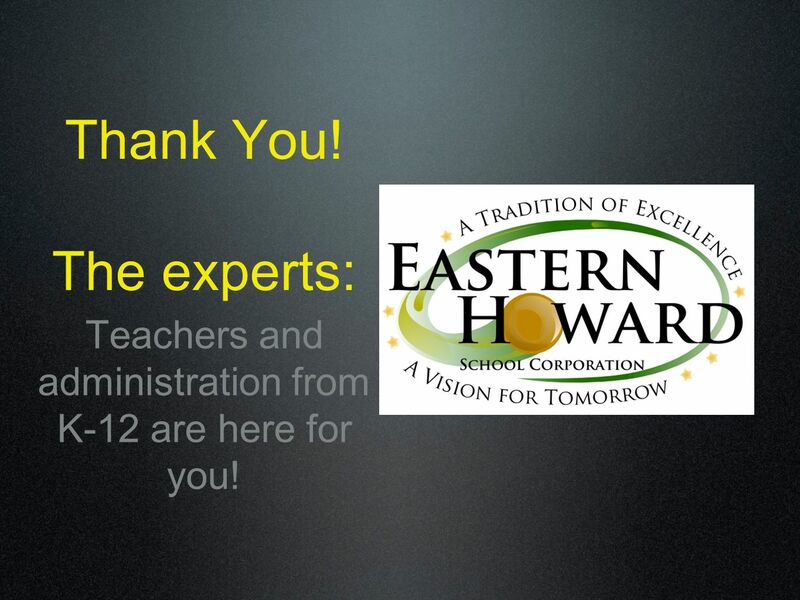 The experts: Teachers and administration from K-12 are here for you! 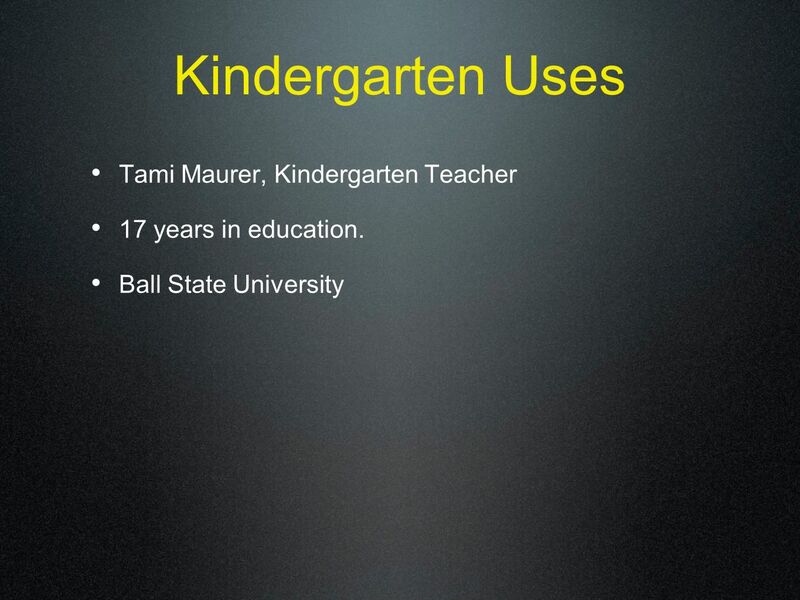 Download ppt "IN THEiR HANDS USiNG MOBiLE TECHNOLOGiES iN THE CLASSROOM SESSiON #1 Randy Maurer, Principal Eastern Elementary School Eastern Howard School Corporation." 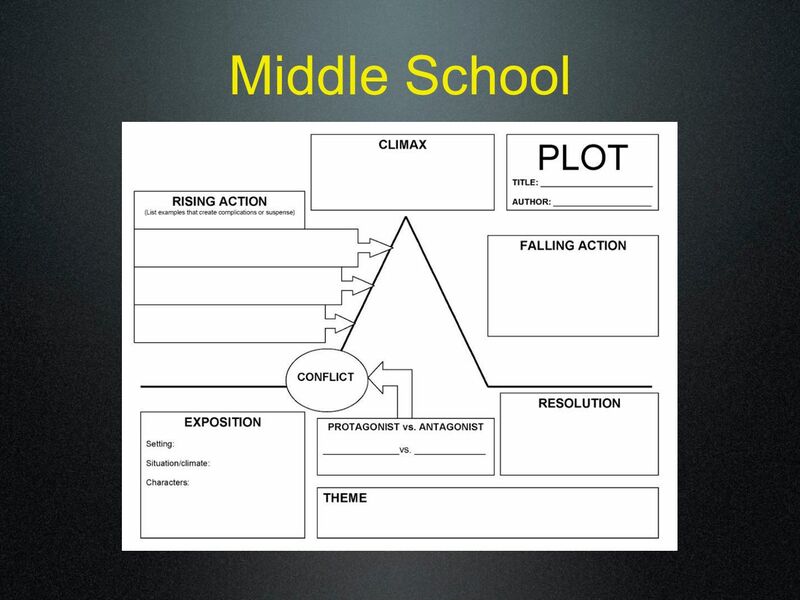 Elementary. 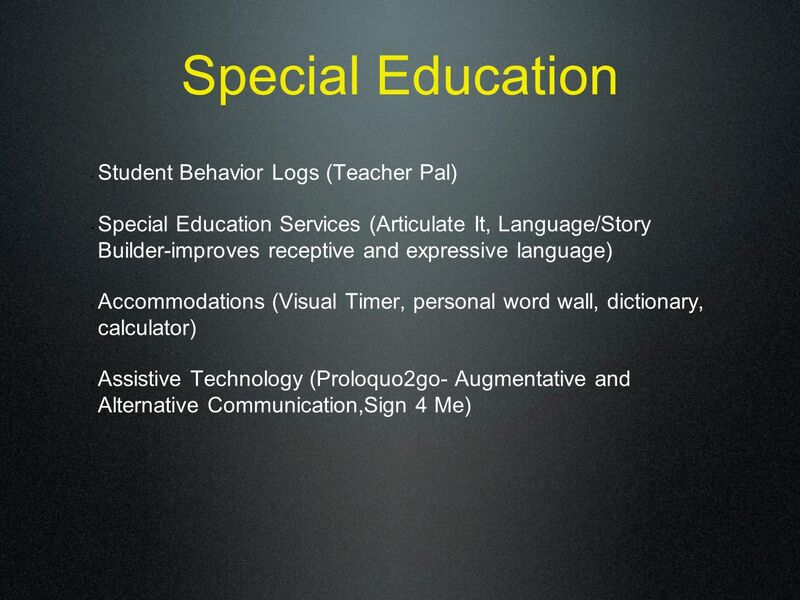 The District Heard Your Concerns In teachers requested that the following three documents be merged into one. 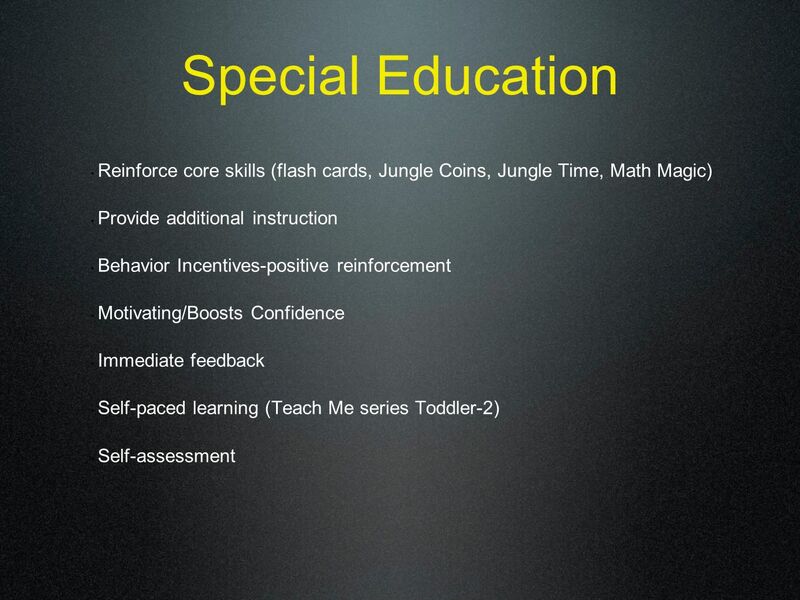 Instructional Focus. 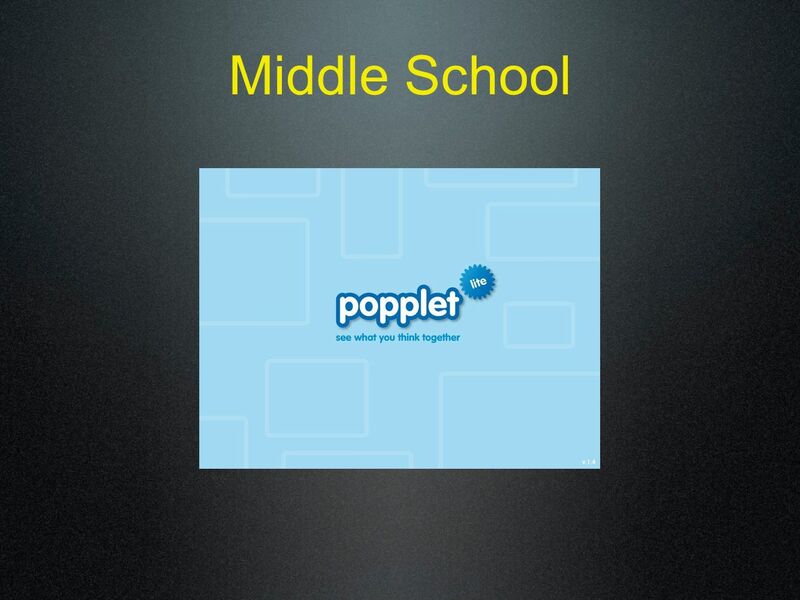 Welcome to the HHS9 Course Registration Presentation. 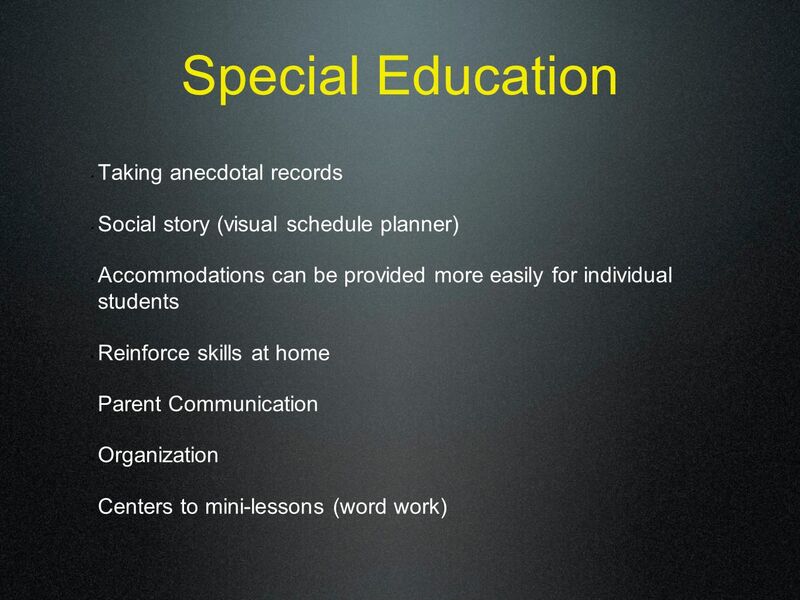 You should have picked up three items: 1)Course registration packet (stapled yellow forms) 2)Additional. Opportunity. For Life.. Welcome! ¡Bienvenidos! The Duke University Talent Identification Program --- 4th-6th Grade Talent Search. 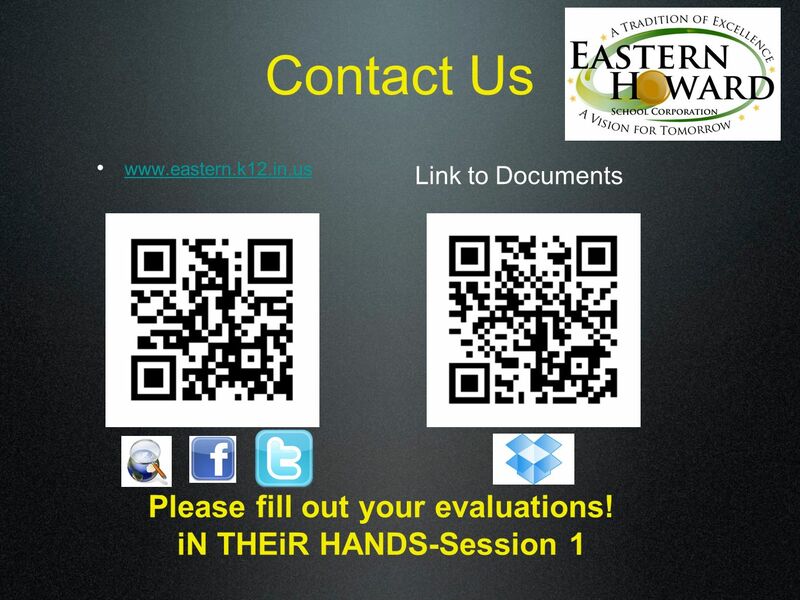 USING STUDENT DATA TO MAKE EFFECTIVE INSTRUCTIONAL DECISION Presented by: Alice Myles, Ed. 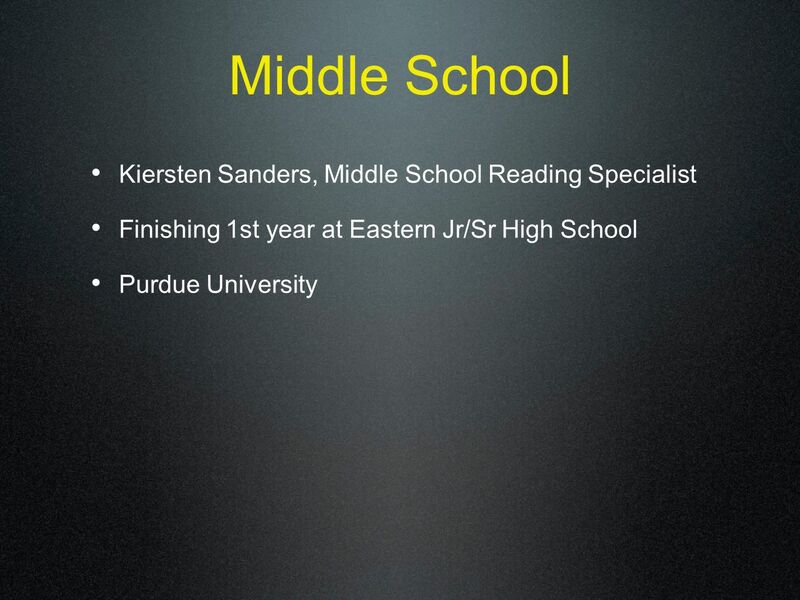 S Consulting Teacher/ Instructional Specialist Metropolitan. Southern Regional Education Board WELCOME Strategy Work Session For What Should the Tech Center of the Future Look Like? Nancy Headrick, Director State. 1 Literacy Leadership Teams December 2004 Common High-Quality Differentiated Instruction for Achievement for All within The Cleveland Literacy System Module. Hi, There! I’m T.J.! April 8, 2013 Welcome to Cypress Cove! Stonewall Jackson Middle School Committed to Success Parental Involvement and Title I Parental Involvement and Title I Student Leadership Staff Development. 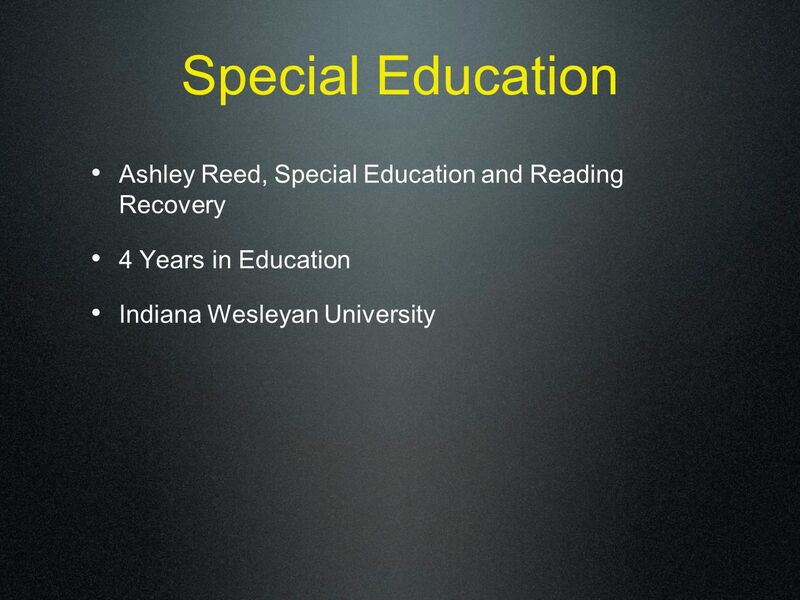 ACS WASC/CDE Visiting Committee Final Presentation South East High School March 11, 2015.